In the past, it was said that the emperors were continually looking to find the finest chef in the empire and move them to Hue (Huế). The movement of chefs from various areas of Vietnam made Hue today an ideal destination for food culture, not to mention the traditional Hue dishes. Who do not want to enjoy dishes which were once made and served exclusively to royal families? A journey to the ancient capital of Vietnam, Hue, will not be perfect without tasting Hue cuisine. Hue restaurants are available in variety, from humble to luxurious. The features popular shared by the chain of Hue restaurants are good service, great views and extensive menus with both traditional Hue dishes and other areas’. The majority of Hue restaurants are located on Pham Ngu Lao (Phạm Ngũ Lão) and Le Loi (Lê Lợi) Street, with a few around Citadel Area, or on along sides of Perfume River. At any place, you will be likely to have an opportunity of enjoying a meal in romantic and spacious atmosphere and let your soul flow with gentle traditional music. The downtown area of Hue has many tourist restaurants with typical western food like pasta and pizza, yet many tourists prefer to enjoy local dishes because they are delicious and outstanding. Here, we introduce to you some of the best Hue restaurants that are highly recommended by tourists and locals! 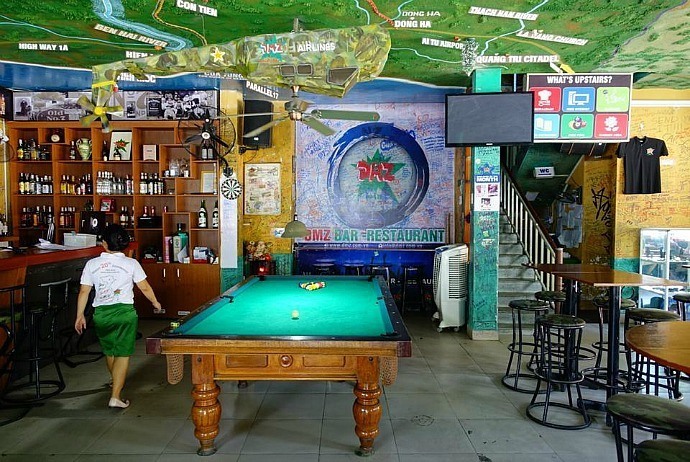 This restaurant is run by the energetic and lovely Thu and is especially liked by backpackers who like coming here and enjoying live satellite football with chilled beer. This is a family-run, friendly restaurant among many Hue restaurants. Considered as one of the best Hue restaurants, Lac Thien restaurant offers you the most well-known local dishes, banh khoai (the type of stuffed crepe combined with peanut sauce) and nem lui. 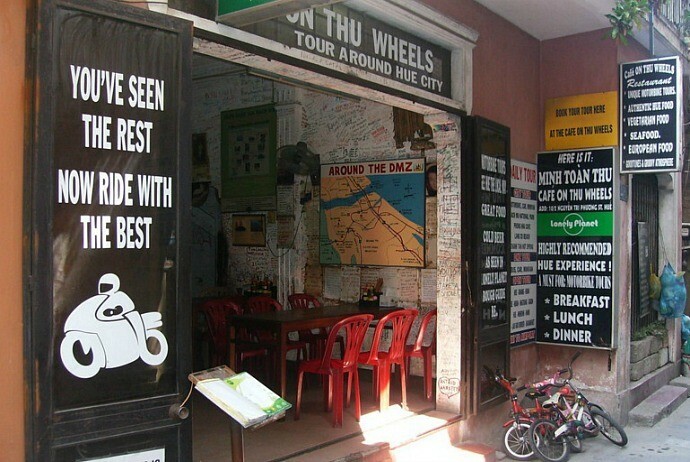 The majority of tourists when visiting Hue City will come here to enjoy a large plate of pancakes while sipping some Hue Huda beer. Located on Tran Cao Van, right at the center area of Hue’s backpacking community, Mandarin Café serves excellent but reasonable both Western and Vietnamese fare. It also hosts Sinh Café’s booking desk that allows you to book car/bike hire, book boat trips as well as tour information. The restaurant offers an extensive menu, allowing guests to try out various Hue-style dishes at really reasonable prices. Similar to many other Hue restaurants, Paradise Garden Restaurant serves traditional Vietnamese, Chinese, and Indian dishes along with local cuisines. Situated on the river edge promenade street that is near Trang Tien Bridge that changes colors at night, this restaurant has both a courtyard and covered dining area. 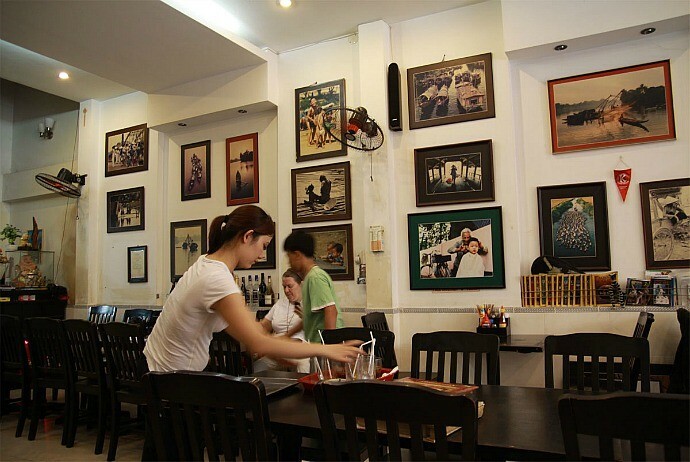 For many tourists, this is one of Hue eateries that bring memorable experiences to tourists worldwide. Having a lunch here will give you the scope to experience of the traditional sense of Vietnamese people’s hospitality. This is particularly justified through behaviors of well-trained staffs of the restaurant. Apart from having your tasty dishes, you will be able to enjoy a good view for contemplating sunset falling on Perfume River. 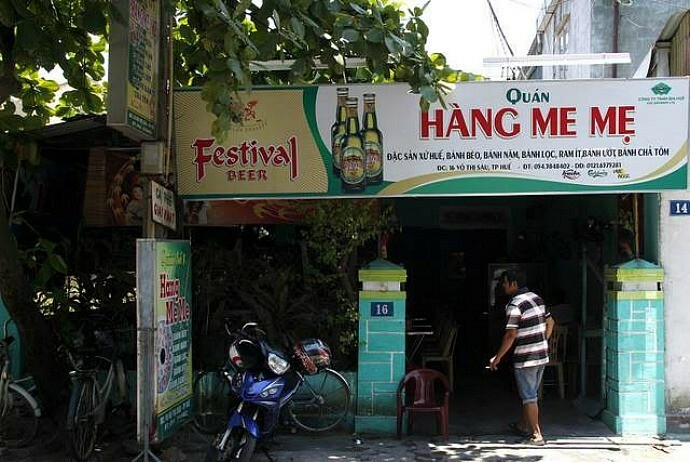 This bar is located on the major restaurant and hotel street in Hue, which is closed to two of the main riverfront hotels. DMZ, a casual place having a pool table offers a great choice of Vietnamese and Italian food. Located on Chu Van An Street, Tropical Garden Restaurant has a cozy atmosphere, and is a popular tour-bus stopover. 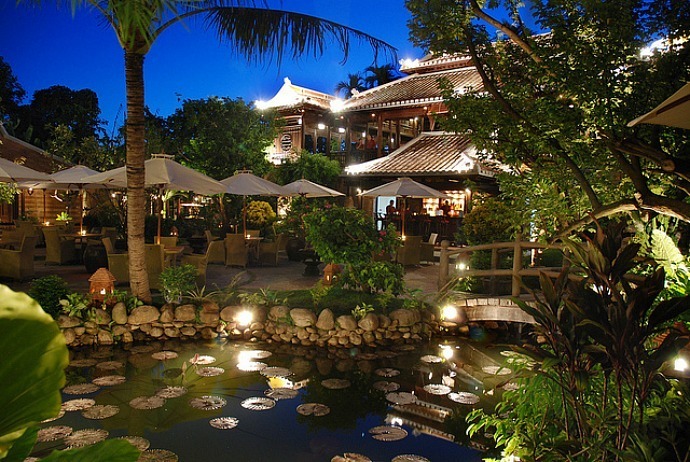 Serving great Vietnamese dishes with an extensive menu in English language, Tropical Garden Restaurant also serves live music every night. Dishes provided by this restaurant include steamed crab with beer, grilled minced shrimp with the sugarcane wrapped in healthy rice paper and served with great peanut sauce, and banana flower soup. When it comes to Hue restaurants, Tinh Gia Vien is one of the unique ones serving delicacies once offer to the royal families. The cooks who are originally descendants of Nguyen Dynasty are respectfully titled as culinary artisans. This restaurant emphasizes a touch of tranquility and royal elegance, which totally persuades you to visit during your Hue trip. It is not only a famous destination regarding to Hue restaurants, Ancient Hue restaurant is also a complex of art and culture that you must visit at least once in your Hue tour. Being able to serve up to 200 guests, this restaurant is renowned for vividly recreating authentic specialties of Hue’s royalty. Every dish is nicely presented with veggies sculpted into the shapes of animals and plants. The menu features with local cuisines such as Bánh Bèo (the steamed rice flour with shrimp flakes), banana blossom salad, and Bánh Khoái (fried rice pancakes that are stuffed with pork, shrimp along with bean sprouts). Here, you can also join in cooking classes, which include a boat trip to those riverside markets. 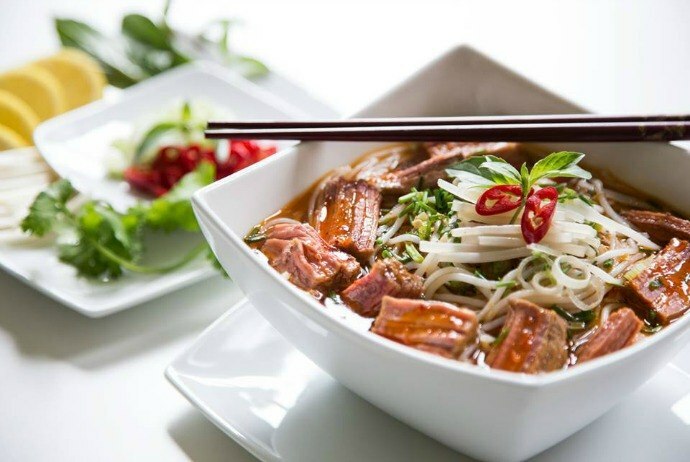 This is a restaurant specializing in local traditional dishes, for instance, particularly noodle with the broiled pork (in Vietnamese as Bun Thit Nuong), Pork rolls (Nem Lui), Khoai pancake (banh khoai), and Hue beef noodle (Bun bo Hue). Here, the chefs are very professional as well as experienced; thus, offer a lot of tasty dishes with best fragrance and taste. In addition, this restaurant has friendly and attentive staffs along with reasonable price. You will surely satisfy when having meals here. 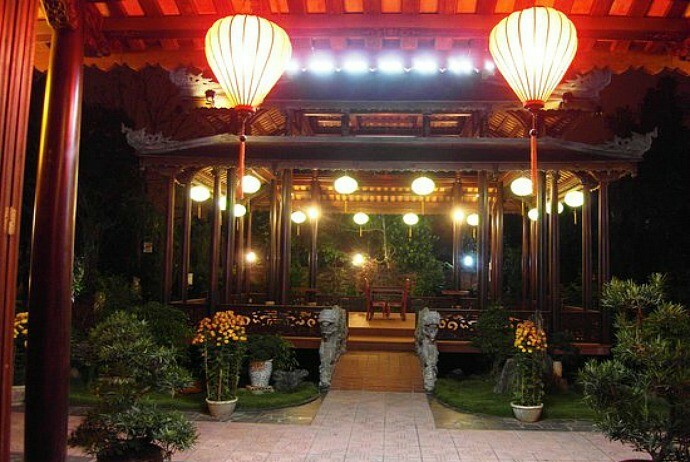 Among many Hue restaurants, this restaurant looks so elegant and spacious, which is regularly visited by local people. It is worth noting that there are some famous dishes of Hue served in this eatery, such as steamed rice cakes (banh beo), steamed clear tapioca cakes (banh bot loc), and rectangular dumplings (banh nam), which all feature cuisine of Hue style. Hosting an open, elegant space, Sunlight Bar and restaurant brings to guests a touch of past. The menu provided here diversified different drinks and dishes. You had better give this restaurant a try, in addition to a few other Hue restaurants introduced above, during your Hue City tour. If you are looking for a hue restaurant which has royal architecture in order to experience a night feast, you should not skip Royal Park Restaurant. Here, you will be served with royal delicacies in a royal atmosphere with female maidens serving around and guards. 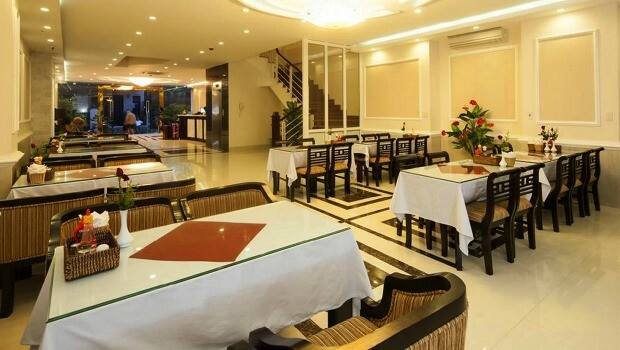 You will be no wrong when choosing Duyen Anh Seafood restaurant to taste seafood in Hue. 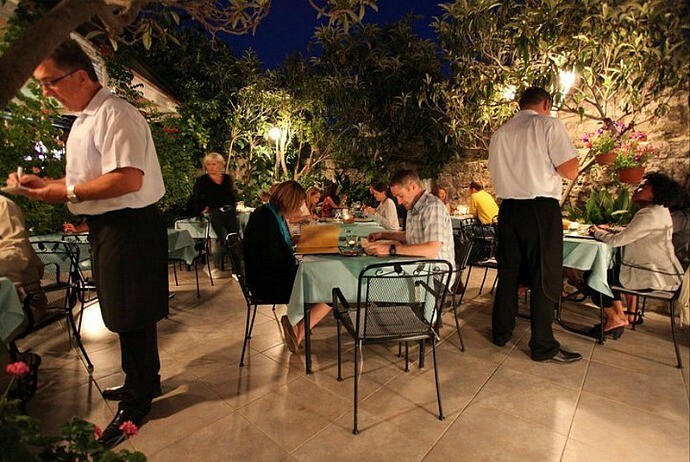 The restaurant has an open space along with a sense of elegance with attentive staff. You just need to drop this restaurant and order all what you want. 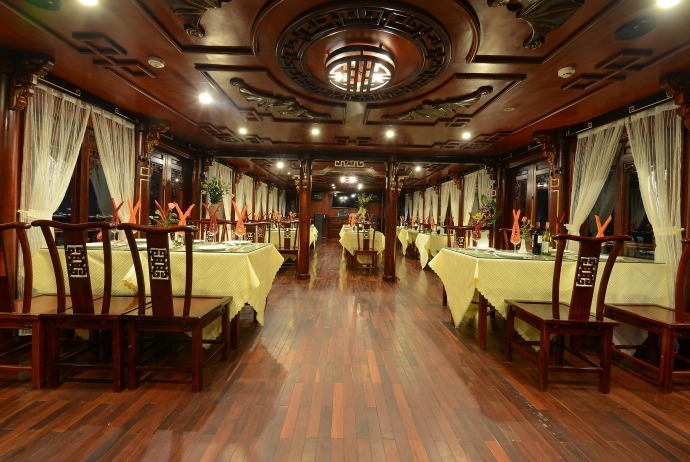 Visiting this restaurant, guests will be dressed up as queens or kings or mandarins, and then together taste Hue special foods with the potted rice and other dishes which are prepared in both Western and Asian styles. This restaurant is able to serve 400 guests, serving well for wedding parties, conferences, and so forth. 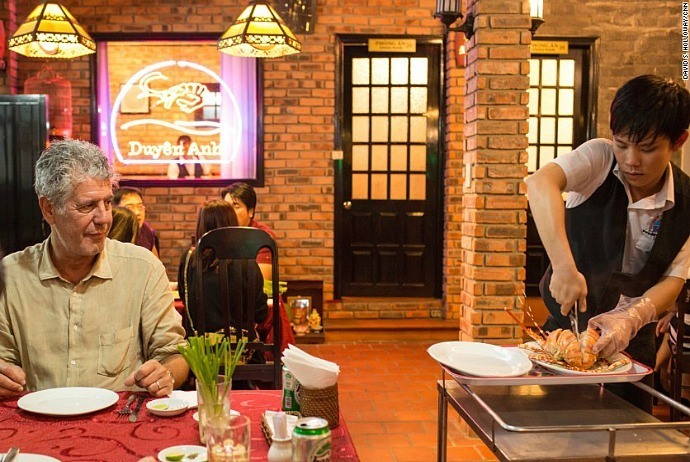 The last in this list of famous Hue restaurants is Chan Doi Garden Café restaurant, which is located on Le Ngo Cat Street. It is an ideal place for people to celebrate birthdays as well as other celebrations. It leans on a scenic hill’s foot, highlighting the mountainous picture with lush green trees. Here, you will definitely have a wonderful party. Due to the limited frame of this article of “Hue restaurants”, we could not list all available Hue restaurants, but we are sure that these 14 Hue restaurants are the most highly recommended by experienced tourists as well as locals. Hence, do not hesitate to visit some of these Hue restaurants during your Hue tour trip, and then leave your words below this post to let us know your thoughts.